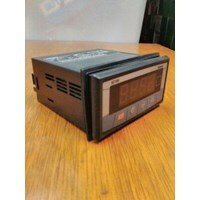 Panel Meter AutonicsPanel Meter MT4W- DA- 4N Autonics- Volt : 100- 240 VAC.Produk- Produk yang Kami Jual: Temperature Controller Autonics, Timer Autonics, Counter Autonics, Counter/ Timer Autonics, PLC ( Programmble Logic Controller ) Omron, Inverter Schneider Electric, Magnetic Contactor Schneider Electric, MCB Domae Schneider, Auto Breaker Fuji Electric, MCCB Fuji Electric, Circuit Protector Mitsubishi, Kabel, Box Panel, Aksesoris Panel, Lampu dll.- Temperature Fuji, Temperatur Hanyoung, Temperature Controller Fotek.- Temperature Shinko, Temperatur Kontrol RKC, Temperatur Shimaden.- Temperature Omron, Temperature Honeywell, Temperature Controller Azbil / Yamatake.- Temperatur Kontrol Chino, Temperature Controller Yokogawa.- Magnetic Contactor, Thermal Overload Relay, Auto Breaker / MCCB, MCB, Circuit Protector.- Inverter, PLC ( Program Logic Controller ) dan Program Controller Melsec.- Relay, Timer, Counter, Counter / Timer.- Kabel NYY, NYA, NYM dari Merek 4 Besar.- Sensor Kabel, Proximity Switch, Photo Sensor, Photoelectric.Adapun Merek- Merek yang Kami Sediakan seperti :- ABB, Fuji Electric, Mitsubishi.- Autonics, Hanyoung, Fotek.- Teco, Siemens, LS, Chint, Schneider Electric.- Azbil / Yamatake, Honeywell, Sick.DUNIAELECTRICAL.COM : Harga Murah, Barang Berkualitas !!! 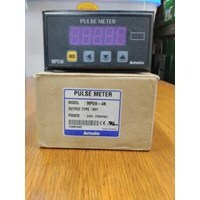 Autonics Pulse MeterJual Pulse Meter MP5W- 4N Autonics-Negara Asal Produk: Korea- Power: 100- 240 VAC / 50/60 HzDUNIAELECTRICAL.COM: Menyediakan Peralatan dan Perlengkapan Electrical Seperti Jual Pulse Meter Autonics danPanel Meter Autonics.DUNIAELECTRICAL.COM: Toko Listrik Online di GlodokJual Produk AutonicsTerlengkap. 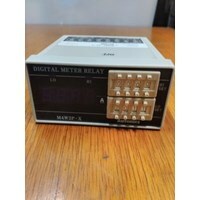 Panel Meter AutonicsAutonics Panel Meter Jual Panel Meter MT4W-DA-4N Autonics -Negara Asal Produk: Korea. - Input : Multi DC Ampere - Display: Scale set - Output: NDT-N - Power : 100- 240 VAC/ 50/60 Hz.Counter / Timer AutonicsCounter / Timer CT4S Autonics, Autonics Counter / Timer FX4, Counter / Timer FX4S, Counter / Timer FX4Y-1 Autonics, Autonics Counter / Timer FX6 Autonics, Counter / Timer CT4S Autonics, autonics counter / timer ct6y, Counter / Timer FX6Y-1 Autonics, Timer AT8SDN Autonics, Timer FS4E Autonics.Temperature Controller AutonicsTemperature Controller TK4S Autonics, Autonics Temperatur TZN4M, Autonics Temperatur Kontrol TZN4H Autonics, Temperature Controller TZ4ST Autonics, temperature control thd-r-c autonics, Temperature Controller TDL Autonics, Autonics Temperatur T4W1, Temperature Controller T4M Autonics, Temperature Controller t4l autonics, Temperature Controller TZ4ST- R4C Autonics, Autonics Temperature Controller TZN4H- 24 R Autonics, Temperature Controller TZ4M- 14R Autonics, Temperature Controller TZ4ST- 14R Autonics.Photo Sensor Autonics & Proximity Switch AutonicsPhoto Sensor BUP-30 Autonics, Autonics Photo Sensor BR4M, Photo Sensor b2m- ddt autonics, Proximity Switch PSN40 Autonics, Photo Sensor BEN3M Autonics, Photo Sensor Autonics BX700 Autonics, Proximity Switch PRT30- 15D0 Autonics, Photo Sensor BUD- 30 Autonics, Photo Sensor BR200-DDTN-P Autonics, Photo Sensor BR100 Autonics, Autonics BEN10M, Sensor BR300, Photo Sensor BX5M Autonics, Photo Sensor BEN5M Autonics, Autonics Photo Sensor BEN 300- DFR, Proximity Switch PRT 08 Autonics, Proximity Switch PRT08 Autonics dan Photo Sensor& Proximity Switch Autonics lainnya. Anda Mencari "AUTONICS PANEL METER"? 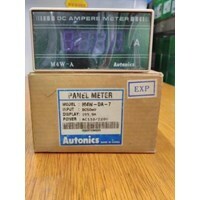 Buat Permintaan Untuk "AUTONICS PANEL METER"
Panel Meter AutonicsAUTONICS PANEL METER MT4W-AA-41Biasanya semua peralatan panel meter bisa beroperasi dengan baik pada suhu ruangan antara 0 - 50 derajat celcius. Dan bila disimpan suhu ruangan kisarn antara -15 -70 derajat celcius. Lebih atau kurang dari yang sudah ditentukan diatas dipastikan alat akan rusak,atau meski berfungsi tingkat akurasinya sudah berkurang.Standar calibrated adalah instrumen untuk mounting pada panel vertikal. 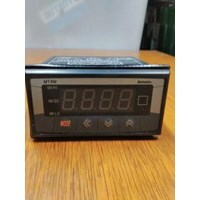 maka alat ini harus dipasang vertikal untuk mendapatkan hasil pembacaan meter yang akurat.Panel Meter MT4W-AA-41 Autonics-Negara Asal Produk: Korea.- Input : Multi AC Ampere- Display : Scale Set- Output : Relay- NDUNIAELECTRICAL.COM: Menyediakan Produk Peralatan dan Perlengkapan ListrikPanel Meter Merek Autonics.DUNIAELECTRICAL.COM: Toko Listrik OnlineJual Autonics MurahsepertiJual Counter, Jual Timer, Jual Temperatur, Jual Proximity Switch, Jual Photo Sensordll.Counter / Timer Autonics: Counter / Timer CT4S Autonics, Autonics Counter / Timer FX4, Counter / Timer FX4S, Counter / Timer FX4Y-1 Autonics, Autonics Counter / Timer FX6 Autonics, Counter / Timer CT4S Autonics, autonics counter / timer ct6y, Counter / Timer FX6Y-1 Autonics, Timer AT8SDN Autonics, Timer FS4E Autonics.Temperature Controller Autonics: Temperature Controller TK4S Autonics, Autonics Temperatur TZN4M, Autonics Temperatur Kontrol TZN4H Autonics, Temperature Controller TZ4ST Autonics, temperature control thd-r-c autonics, Temperature Controller TDL Autonics, Autonics Temperatur T4W1, Temperature Controller T4M Autonics, Temperature Controller t4l autonics, Temperature Controller TZ4ST- R4C Autonics, Autonics Temperature Controller TZN4H- 24 R Autonics, Temperature Controller TZ4M- 14R Autonics, Temperature Controller TZ4ST- 14R Autonics.Photo Sensor Autonics & Proximity Switch Autonics: Photo Sensor BUP-30 Autonics, Autonics Photo Sensor BR4M, Photo Sensor b2m- ddt autonics, Proximity Switch PSN40 Autonics, Photo Sensor BEN3M Autonics, Photo Sensor Autonics BX700 Autonics, Proximity Switch PRT30- 15D0 Autonics, Photo Sensor BUD- 30 Autonics, Photo Sensor BR200-DDTN-P Autonics, Photo Sensor BR100 Autonics, Autonics BEN10M, Sensor BR300, Photo Sensor BX5M Autonics, Photo Sensor BEN5M Autonics, Autonics Photo Sensor BEN 300- DFR, Proximity Switch PRT 08 Autonics, Proximity Switch PRT08 Autonics dan Photo Sensor& Proximity Switch Autonics lainnya. 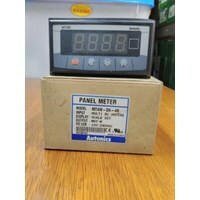 Panel Meter Autonics Jual Panel Meter Type: M4W2P-DA-6 Merek Autonics-Negara Asal Produk: Korea- Input : DC50MV- Display: 19,99 A- Power: 100- 240 VAC / 50/60 Hz.Merupakan Pusat Perlengkapan dan Peralatan Listrik Terlengkap dan Termurah di Glodok. Dengan adanya Kebutuhan Supply ke Perusahaan, tentu diperlukan suatu Promosi Online yang dapat mempermudah mencari Barang Perlengkapan dan Peralatan Listrik / Electrical Secara Online yang Berkualitas dan Kompetitif Dari Segi Harga nya. Pusat Toko Listrik Online Terpercaya, Terlengkap dan Termurah se Indonesia yang sudah Berpengalaman dari Tahun 1994. Kami sudah Berpengalaman dalam Melayani kebutuhan Electrical di Pabrik- Pabrik.Produk- Produk yang Kami Jual: Temperature Controller, Timer, Counter, Counter/ Timer, PLC ( Programmble Logic Controller ), Inverter, Magnetic Contactor, MCB, Auto Breaker, MCCB, Circuit Protector, Kabel, Box Panel, Aksesoris Panel, Lampu dll.- Temperature Fuji, Temperatur Hanyoung, Temperature Controller Fotek.- Temperature Shinko, Temperatur Kontrol RKC, Temperatur Shimaden.- Temperature Omron, Temperature Honeywell, Temperature Controller Azbil / Yamatake.- Temperatur Kontrol Chino, Temperature Controller Yokogawa.- Magnetic Contactor Fuji Electric, Contactor Mitsubishi, Kontaktor LS, Contactor Teco, Magnetic Contactor Schneider Electric.- Thermal Overload Relay Mitsubishi, Overload Relay Fuji, Overload Schneider, Thermal Overload LS.- Auto Breaker / MCCB Schneider Electric, MCCB LS, MCCB Fuji Electric, MCCB Mitsubishi.- MCB Domae Schneider, MCB Mitsubishi, MCB Fuji Electric.- Circuit Protector Fuji Electric, Circuit Protector Mitsubishi.-Inverter Fuji Electric, Inverter Mitsubishi, Inverter Toshiba, Inverter Schneider Electric, Inverter LS.- PLC ( Program Logic Controller ) Omron.-Program Controller Melsec Mitsubishi.- Relay Omron.-Timer Theben, Timer Omron, Timer Autonics, Timer Hanyoung, Timer Fotek, Timer Omron.-Counter / Timer Autonics, Counter / Timer Hanyoung, Counter / Timer Omron, Counter / Timer Fotek.- Kabel NYY, NYA, NYM dari Merek 4 Besar.- Sensor Kabel, Proximity Switch, Photo Sensor, Photoelectric.Adapun Merek- Merek yang Kami Sediakan seperti :- ABB, Fuji Electric, Mitsubishi.- Autonics, Hanyoung, Fotek.- Teco, Siemens, LS, Chint, Schneider Electric.- Azbil / Yamatake, Honeywell, Sick.